I love when couples are willing to play with the “standard wedding reception formula” when creating their timeline of events. 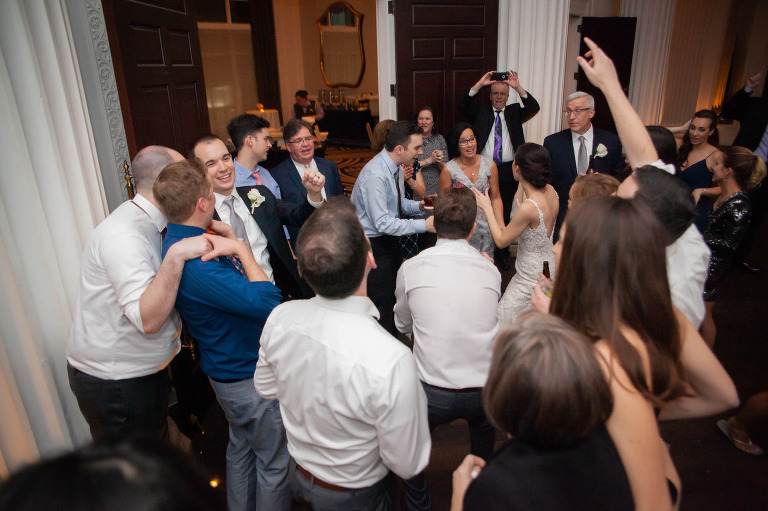 I find for the most part, the actual order of events isn’t critical for a successful evening, and mixing it up a bit helps keep the guests engaged and interested in what will happen next. 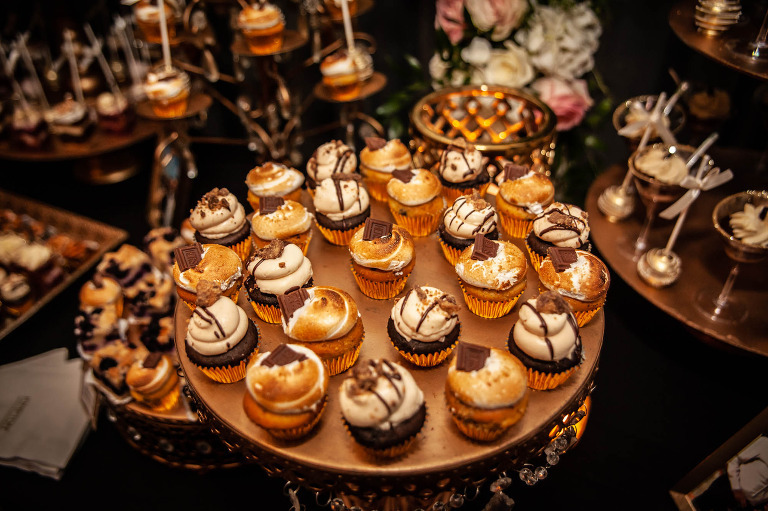 Lindsey and Mike did an amazing job creating an evening that flowed perfectly for their fun filled reception held at the fabulous Hotel Monaco in downtown Pittsburgh. 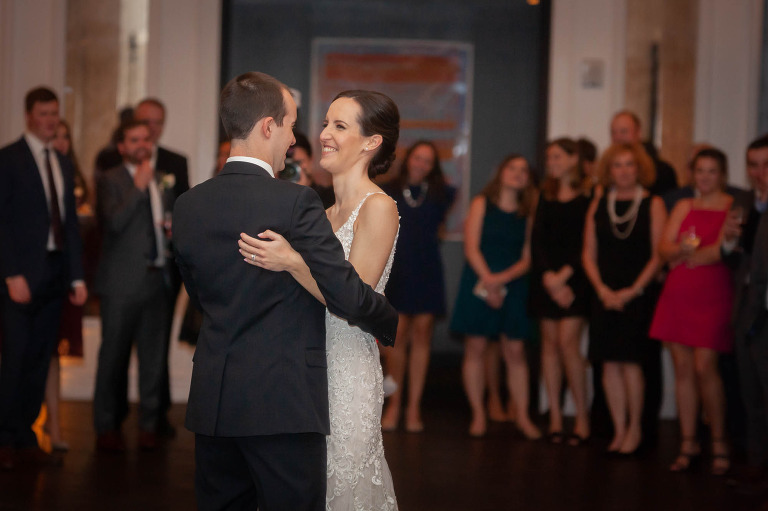 Their ceremony and dinner were held in the beautiful ballrooms at the hotel while the dancing for the evening occurred in the foyer space that separated the two rooms. 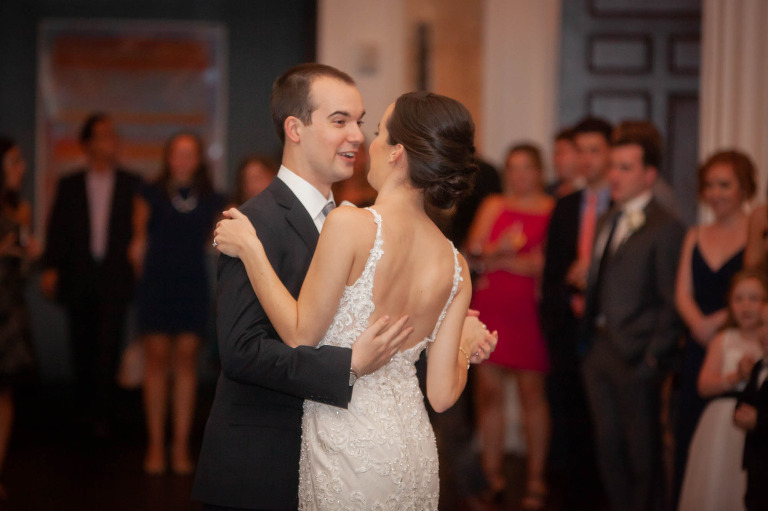 Instead of a traditional grand entrance, Lindsey and Mike chose to include the introduction into their first dance and fast upbeat bridal party dance after dinner. They also chose to include their parent dances later in the night too, which meant everyone was up on their feet to enjoy seeing everyone dance. 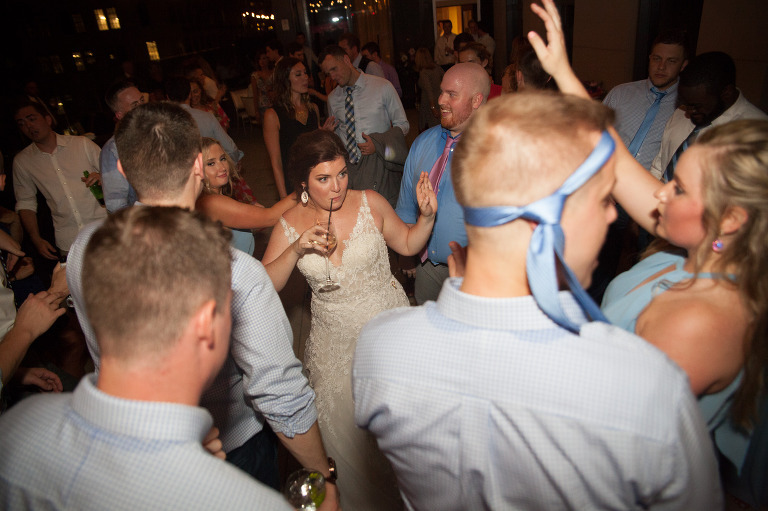 Lindsey and Mike’s fresh ideas made for an evening that was lively and exciting for everyone. 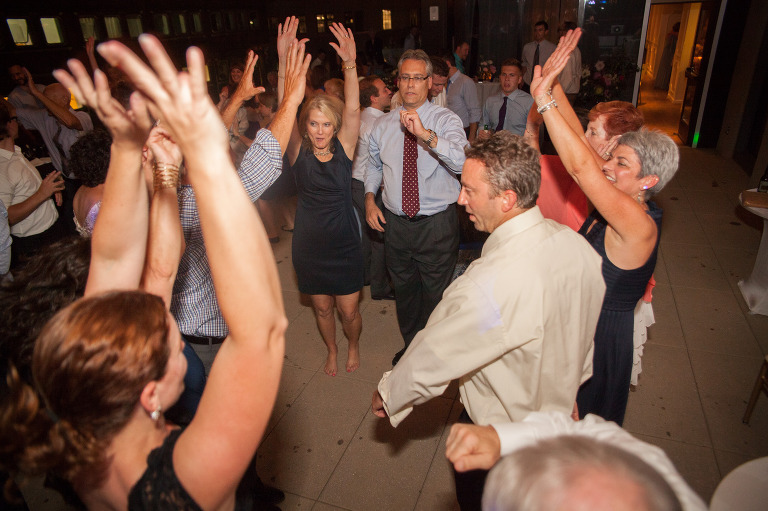 When it was time to dance, all of their friends and family were quick to join in the celebration. At the end of the night, it was obvious that no one wanted the party to end. The happy couple is now planning a hopefully much more relaxed scheule as they prepare to celebrate on their Hawaiian honeymoon. 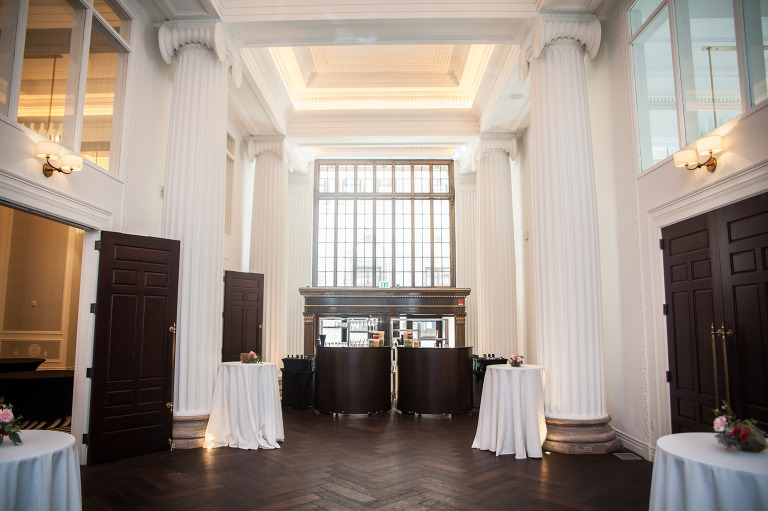 I talk frequently with people about the importance of finding a venue that matches your style and taste. 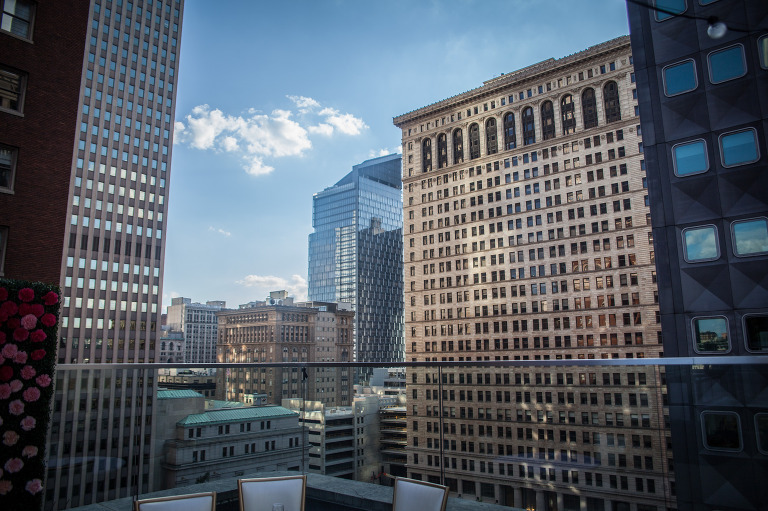 Pittsburgh offers so many choices including museums, renovated churches, and some of the best high-end hotels. 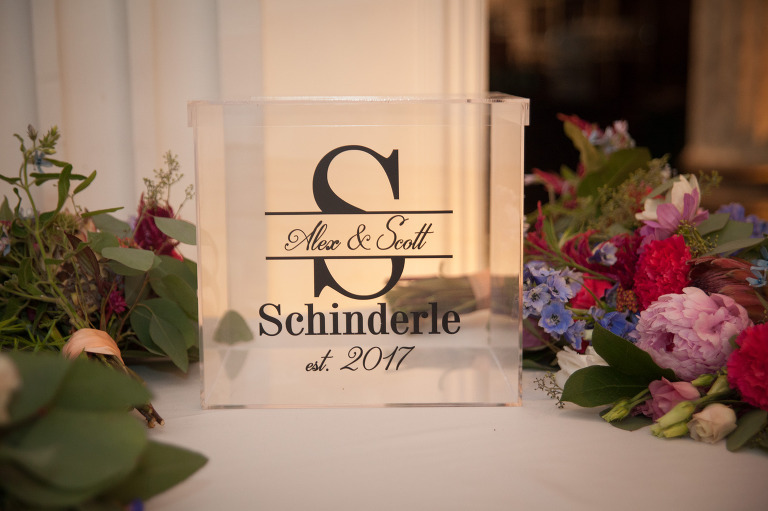 Alex and Scott could not have made a better choice than holding their wedding and reception at the amazingly beautiful Hotel Monaco located in the heart of the downtown area. After the ceremony and cocktails on the main floor of the hotel, guests were invited to the roof of the hotel, which was beautifully decorated for their celebration. Guests had the best time taking advantage of the stunning flower wall to take photos and selfies. 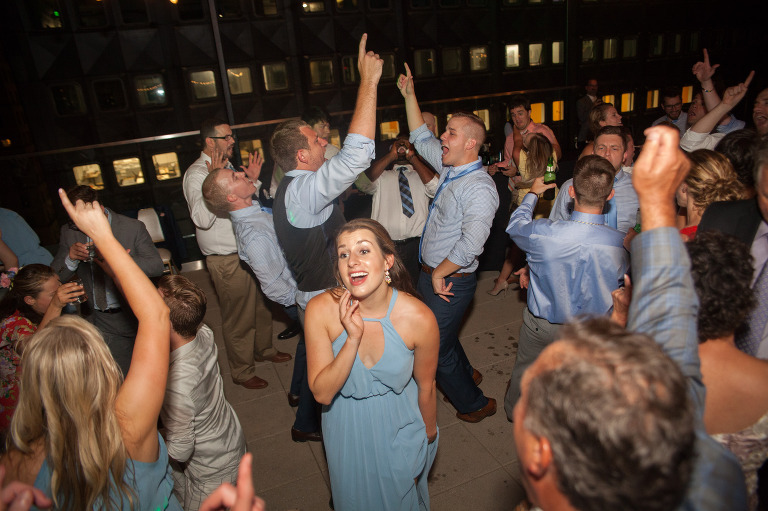 Alex and Scott’s friends enjoyed dinner and dancing on a perfect summer evening with a stunning view of Pittsburgh! When it was time to dance, everyone joined in and got a little crazy to a great variety of music from yesterday and today. I can’t imagine a better location that was truly a reflection of this very cool and fun couple. Their guests were treated to a one of a kind party that I’m sure will be talked about for years to come.